Academics - De La Salle College "Oaklands"
An education at De La Salle College “Oaklands” seeks to immerse students in a well-balanced and challenging university preparatory program of excellence. All subject area courses are uniquely designed to foster in each student an active pursuit of high academic standards and rigorous intellectual development. The College recognizes today that a useful academic program must address the needs of the young in an interdependent, technologically-based world while continuing to impress on the young the development of Christian virtues to help them become persons of substance, integrity and faith. At each level of instruction, Del teachers – dedicated and formed in Lasallian pedagogy – instill in their students a love of learning and a sense of social responsibility that encourages students to place their talents at the service of others well beyond their formative years in rewarding careers and contributing members of society. 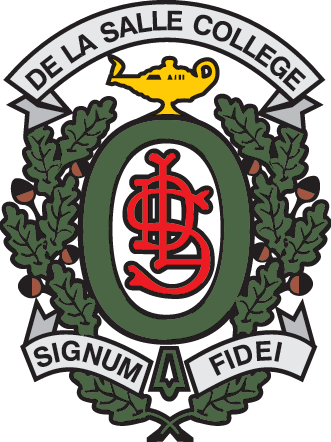 De La Salle College “Oaklands” has always enjoyed an excellent reputation for its commitment to academic excellence. When the school opened at its current site, the words of blessings reminded students, parents and faculty that the College serves as a sanctuary for the heart no less than a gymnasium for the mind. Its curriculum, then, as now, includes the moral and mental training of today’s youth according to the needs of our time while cherishing the wisdom of the ancients. The College continues to ensure its commitment to academic excellence in the spirit of the educational traditions of St. John Baptist de La Salle.